MTO Ramsey in caramel suede, with lasted trees. I'm particularly impressed with the attention to detail (stitching, leather clicking) and the fact that the shoe's got a bit of a bevelled waist. MTO Hampstead, in caramel suede. MTO Montague, caramel suede. These boots have forward slanted heel and a layer of rubber between welt and sole, for extra comfort. Lee, never knew you liked suede so much! They were a MTO batch timed for the summer months. I took delivery of them in March. Suede, in all colors, has that je nais se quoi quality that I particular enjoy in shoes. The crepe sole is really really comfortable to walk. MTO gibsons in whiskey shell w/ black shell saddle & heel counters, natural welt & double soles. Due to arrive next week. Is the Gibson from the Exclusive or Handgrade line? I really like my Ramsey. The last fits me quite nicely. 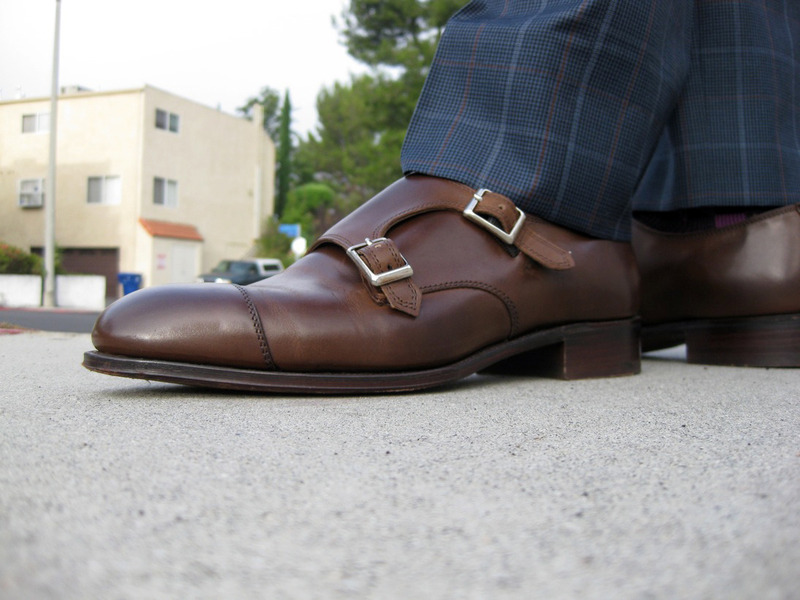 what's your impressions on the AS Ramsey vs. the Carmina double monks?